If you love playing pickleball, then one of the first temptations is to obtain a custom pickleball paddle. 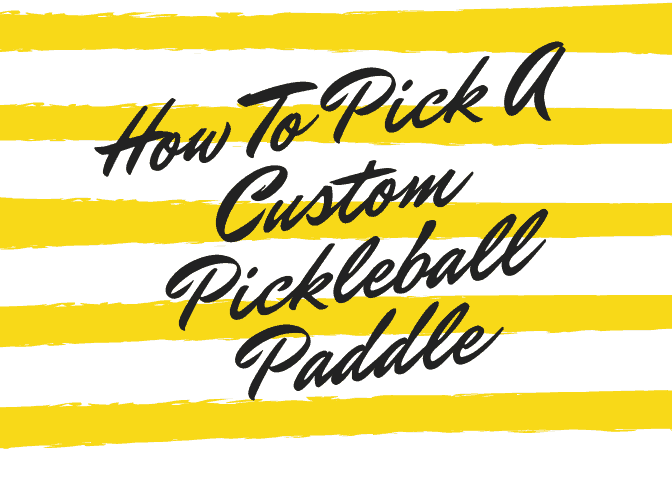 Of course, there are many ways to customize a pickleball paddle and select the right one for your needs. However, since pickleball has tournament rules, you will want to ensure that what you choose meets all requirements, so you can play it at local, regional, and national tournaments if you so desire. There are several vendors that offer customized pickleball paddles which include features such as putting your name on the paddle, adding a new design, or dictating the color and surface. One of the best questions is customizing a pickleball paddle that best suits your game while still complying with official pickleball rules. In order to customize your next pickleball paddle, you will need to start with three factors, core, handle, and weight. The good news is that there are different materials which are legal for the core of the paddle itself. You can choose from aluminum or Nomex, but easily the most popular is polymer. This is because polymer offers the best type of core that is durable, offers excellent control, and more predictable play on the ball. The fact that it will last a long time and is reasonably priced are additional benefits that you will enjoy. You can choose from handles that are four to five inches long. That may not seem like much of a choice, but there is a big difference in terms of length. Long handles are better for those with big hands and who backhand with both hands. The circumference of the grip is 4.25”, but you can choose a larger one if you have large hands. You will need to choose the right weight for your pickleball paddle, so it is not too light which may have you missing seemingly easy shots because you swing too fast. A paddle that is too heavy will wear out your arm and wrist rather quickly. To choose the right one means starting with what you have and gauging the experience, so you can go up or down in the weight of the paddle. 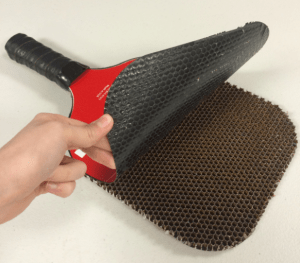 For tournament play, the pickleball paddle you create must have a solid, smooth surface with a roughness no greater than 30 micrometers to 40 micrometers depending on the measurements. The material requirements for the paddle surface are flexible as long as they are rigid and made from a non-compressed material. You can add an edge guard, a name decal or identifying mark to the surface, or change the grip as long as it follows all regulations. Custom paddles are not allowed to be homemade, at least in tournaments. Of course, if you do not care to play pickleball in any form except casually with your friends, then by all means customize your pickleball paddle to your heart’s content. The only caveat is that your friends may object to your “specialized” paddle if they feel it provides you with an unfair advantage. Otherwise, you should stick to customizing features that still comply with official pickleball rules.